Brazil's former president Michel Temer was arrested on Thursday in an investigation over suspected corruption involving the construction of nuclear plant Angra 3, prosecutors told Reuters. 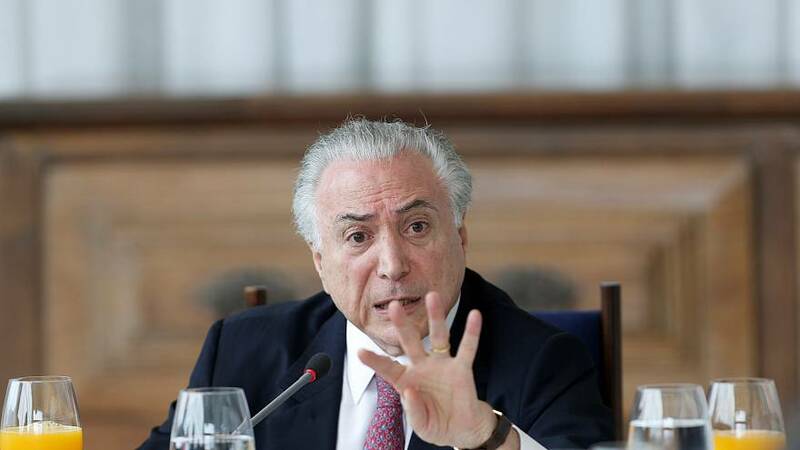 Prosecutors said Temer was the alleged leader of a "criminal organisation" that diverted 1.8 billion reais (€415.21 million) in funds as part of a scheme related to the Angra nuclear power plant complex on the Rio de Janeiro coast. The arrest of Temer, who denies any wrongdoing, was also confirmed by his lawyer. There are now fears that the former president's arrest would delay the government's fiscal reforms. "This could slow down the pension reform process, which is already disappointing," said Danilo Gennari, a partner at Brasilia-based political consultancy DRG. "Temer's arrest will not help the climate in Congress." Temer's former minister and confidant Wellington Moreira Franco was also arrested. Several other Brazilian politicians and businessmen have been convicted or charged in the so-called anti-graft Operation Car Wash.
President from 2016 to 2018, Temer took office following the impeachment of Dilma Rousseff, for whom he served as vice-president for six years. In January, Jair Bolsonaro was elected to succeed Temer as Brazil's head of state. This is not the first time Temer has been hit with corruption charges. During his presidency, he was accused of graft but the charges were blocked by his allies in the lower house of Congress. The legislative body has to authorise charges against a sitting president. Another former Brazilian president, Luiz Inácio Lula da Silva is serving a 12-year prison sentence after being convicted of corruption.